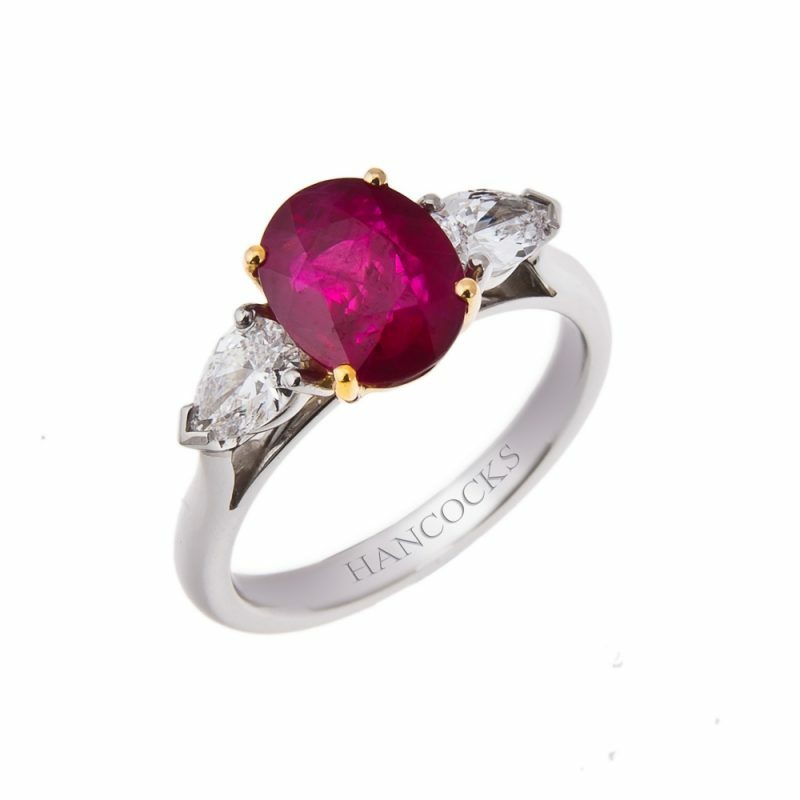 A oval cut ruby and diamond 3-stone ring mounted in platinum with 2 brilliant cut diamonds, all in a hand crafted claw setting. 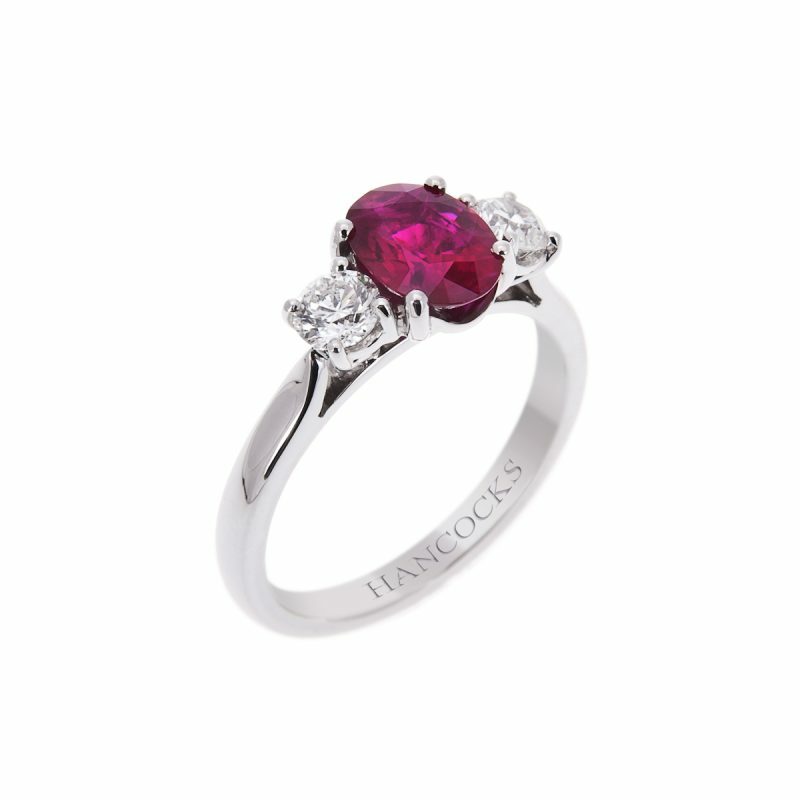 A ruby is a gift of love and is often considered the most romantic of gem stones. 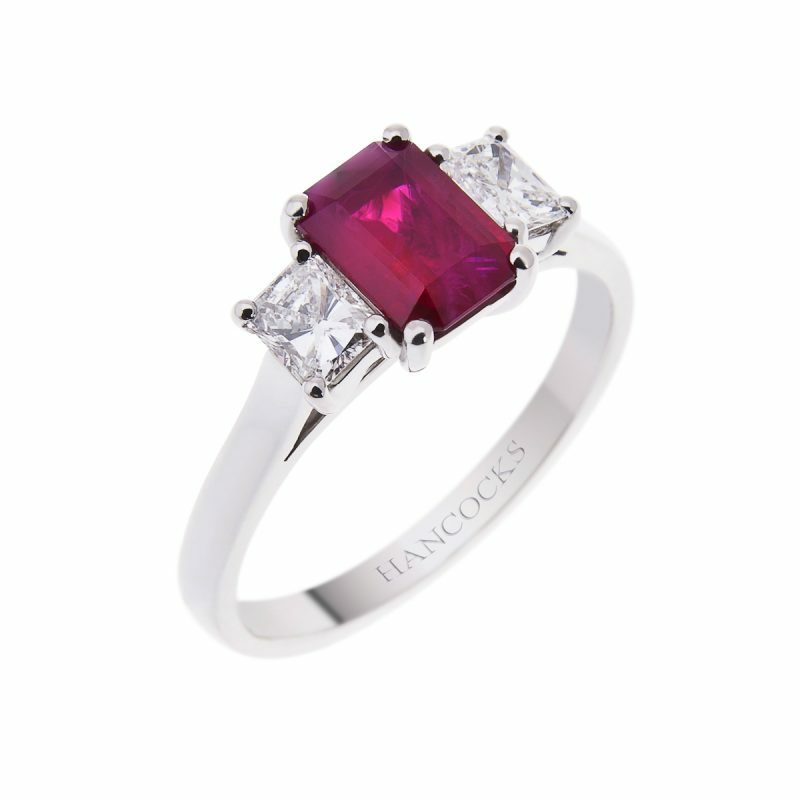 Its warm vibrant red colour is the perfect contrast to the sharp brilliance of the diamonds. A beautiful ring, presented with love for ever.